The social projects of the Compulink Group make an integral part of its mission and strategy of development. They are implemented based on the same criteria that are used for business projects: the Group's social programs must bring tangible results and ultimately lead to improvement of the society. Today, social responsibility of a major company reflects an entire complex of relations: it maintains continuous dialog with all the concerned parties – state structures, regulating organizations, consumers of its services, partners, employees, investors. In its charitable activities, the Compulink Group puts a special emphasis on supporting projects in the field of information technologies, contributing to development of various communities and gifted children, socialization and craft therapy of handicapped children and the disabled. All these areas have a common goal – to create a more dynamic and educated society. Within the Social Adaptation program, the Compulink Group collaborates with the Saint-Petersburg Association of Public Unions of Parents of Handicapped Children (GAOORDI), the Maria's Children Arts Center, the Tourmaline Social Rehabilitation Center, the Center of Curative Pedagogy (CCP), the Saint-Petersburg Public Charity Organization Perspektivy, the Artel Blazhennykh social enterprise, to name just a few. The Compulink Group was among the first to support the idea of creating the Charity, Not Souvenirs program and became one of its founders in 2007.
advocating charitable ideas in the business community and in the society, as a whole. The Social Adaptation charitable program is aimed at providing financial aid and social support to orphans and children deprived of parental care, those with learning difficulties, as well as training centers for persons with disabilities. The program is aimed at enabling those living in boarding schools and training centers for persons with disabilities to realize their creative ideas and feel proper members of the society who are of use thereto. Within the Social Adaptation program, the Compulink Group cooperates with the Ivanovo special boarding school, the Korobcheyevo boarding school, the Tatyanka training center for persons with disabilities, the Saint-Petersburg Association of Public Unions of Parents of Handicapped Children (GAOORDI), the Maria's Children Arts Center, the Tourmaline Social Rehabilitation Center, the Krug Regional Public Organization for Social and Creative Rehabilitation of Children and Young Adults with Learning Disabilities, the Center of Curative Pedagogy (CCP), and many others. For many years, the Compulink Group has been consistently following its humanitarian principles and is keen to pay attention to as many people in need of a special care as possible. In the run-up to the Christmas festive season, the company's employees congratulated those in particular need of care and love – the children living in orphanages and those deprived of parental care. Within the New Year Balloon of Wishes, they collected clothes, hygiene items, medical equipment, learning games and other gifts for younger children in infant orphanages of the towns of Nizhniy Tagil and Troitsk. In June of 2016, the Compulink Group supported the Sport for a Good Cause charity race for the benefit of children living with Down syndrome and even participated in a dedicated sports day. The funds drawn by the race participants and partners were allocated to the Downside UP Charity Foundation for support of learning programs. On August 26, the employees of the Compulink Group took part in a Blood Drive which took place in the company's office for the second time, with support of a mobile team of the blood transfusion station of the Moscow City Healthcare Department. The campaign resulted in collection of about 15 liters of blood, which, upon laboratory tests and processing, was handed over to federal healthcare institutions. The Blood Drive was organized within the framework of the Health and Sports for Everyone social program. The event became one of the most important initiatives among the social programs implemented and supported by the Compulink Group. What makes this charitable initiative really unique is that the campaign may not only help, but actually save lives to many people. Helping children who are seriously ill is an important area of the company's charitable activities. The Compulink Group is an official partner of Rusfond, a charity, which contributes to implementation of advanced medical technologies and supports children with a serious diagnosis. In 2016, the Compulink Group was once again named among Russia's top 60 companies allocating funds for charitable causes. In 2015, in line with its established tradition, the company provided its efforts and resources to aid orphanages and institutions engaged in rehabilitation of persons with learning disabilities. Sponsorship of Russian sports has remained one of the key areas of activities. Within the Charity, Not Souvenirs project, support was provided to the Maria's Children Arts Center (Moscow), Technological College No.21 (the Center of Curative Pedagogy, Moscow), the Artel Blazhennykh social enterprise (Moscow), the Saint-Petersburg League of Vital Help to Persons with Learning Disabilities (Saint-Petersburg), the Saint-Petersburg Public Charity Organization Perspektivy. In the current year, the company will keep helping people in need of extra care to realize their creative ideas. Late in summer, the office of the Compulink Group for the first time hosted a Blood Drive organized in support of the Health and Sports for Everyone social program. The blood transfusion station of the Moscow City Healthcare Department could collect 18 liters of blood handed over to federal healthcare institutions, which meant a hope for recovery for many people. Nearly 80 of the company's employees acted as blood donors. Besides, the company's employees personally help to support a variety of social projects. Most of the Compulink Group specialists took part in the traditional New Year Balloon of Wishes Christmas seasonal campaign: in the run-up to winter school holidays, they gathered funds for purchase of diapers to be sent to special care infant orphanages. Besides, the company employees acquired learning games, sports gear, equipment, clothes, sweet treats and other useful and so desirable gifts for children living in the Naryshkino boarding school and for babies in the infant orphanages of the towns of Kurgansk and Zlatoust. Compulink also actively promotes development and popularization of sports in Russia. The company acted as a partner of the 6th Sport for a Good Cause charity race for the benefit of children living with Down syndrome, which took place in May in the RAS N.V. Tsitsin Main Botanical Garden. All the funds drawn were allocated to the Downside UP Charity Foundation for support of learning programs. Besides, in December, the All-Russian Swimming Federation awarded the Compulink Group with a prize for contribution to development of Russian sports. In 2015, the Compulink Group was for the 5th time named among Russia's leading companies allocating funds for charitable causes. In 2014, the company set a special focus on supporting orphans and children with learning disabilities, as well as programs of social adaptation for persons with disabilities, jointly with charities of Moscow and the regions of the Russian Federation. Compulink Group maintains close partnership with the Rusfond charitable foundation providing aid to seriously ill children. The company's employees also take an active part in charitable activities. In December of 2014, the central office of the Compulink Group hosted a traditional charitable campaign - New Year Balloon of Wishes, where numerous gifts and useful items were gathered for children living in Boarding School No.4 for children with learning disabilities of the town of Pavlovsk, and money was gathered for purchase of diapers for infant orphanages of Kurgansk and Zlatoust. Another area of Compulink's charitable activities is development and promotion of Russian sports, establishing healthy lifestyle and upgrading qualification level of the country's athletes. 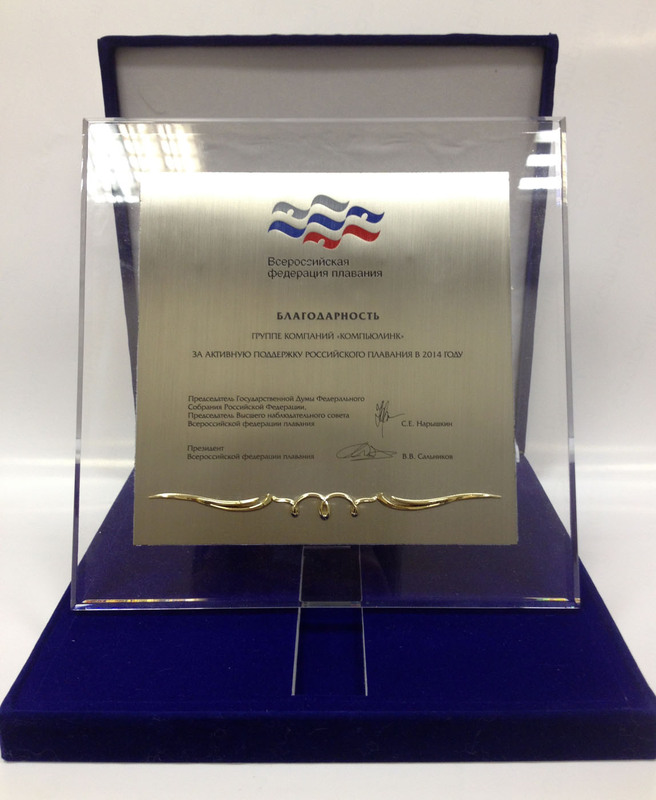 Within the framework of the program, the company acts as an official partner of the All-Russian Swimming Federation. Besides, it should be kept in mind that sports activities make an inseparable part of many of restorative and curative programs for various groups of disabled persons. Among the organizations, which received aid in the year 2014, there were: Rusfond, Maria's Children Arts Center, the Saint-Petersburg Public Charity Organization Perspektivy, the Tourmaline Social Rehabilitation Center, the Artel Blazhennykh social enterprise, Technological College No.21 (the Center of Curative Pedagogy), the Saint-Petersburg Association of Public Unions of Parents of Handicapped Children (GAOORDI), the Saint-Petersburg League of Vital Help to Persons with Learning Disabilities, the Khotkovo Boarding School of Class V, the Regional Foundation for Interacting with Orphans and Children Deprived of Parental Care Luchik Detstva, the Pavlovsk orphanage. Compulink Group keeps providing comprehensive aid to charities of Moscow and Saint-Petersburg including the Saint-Petersburg League of Vital Help to Persons with Learning Disabilities, the Saint-Petersburg Association of Public Unions of Parents of Handicapped Children (GAOORDI), the Maria's Children Arts Center, Technological College No.21 (the Center of Curative Pedagogy), the Khotkovo Boarding School of Class V (Moscow Region), and many others. In addition to aid to charitable organizations, the Compulink Group regularly provides targeted aid by making specific transfers of funds for treatment of children. In December of 2013, the central office of the Compulink Group hosted charitable campaigns for the company's employees − New Year Balloon of Wishes and The Compulink Kind Piggy Bank, where learning games, school and sports items, clothes, equipment and, of course, sweet treats were gathered for children living in Boarding School No.4 for children with learning disabilities of the town of Pavlovsk. The money raised by employees of the Compulink Group were spent on buying one more gift to administration of the boarding school – a multifunctional "all-in-one" printing device (with functionality of a printer, a scanner and a facsimile device). And in January of 2014, with participation of the Tarabum interactive theater, a memorable New Year Party was organized for children of a number of the orphanage groups. Within the Health and Sports for Everyone program, the Compulink Group has been an official partner of the All-Russian Swimming Federation for a few years already. The main objective of the partnership is development and promotion of Russian sports, establishing healthy lifestyle and upgrading qualification level of the country's athletes. The Compulink Group acted as a partner of the central sports charity event of the summer – the 17th Red Square bicycle race of the Downside Up Foundation. For 17 years, the Sport for a Good Cause bicycle race annually raises funds for learning programs of the Downside Up Foundation and raises public awareness of life of children with Down syndrome in Russia. The Compulink Group traditionally helps non-profit charitable organizations through participating in the Charity, Not Souvenirs initiative. In 2012, monetary funds were transferred to one of the country's largest charitable foundations – the Russian Foundation of Aid (Rusfond), as well as a number of organizations engaged in social rehabilitation programs: the Saint-Petersburg Association of Public Unions of Parents of Handicapped Children (GAOORDI), the Maria's Children Arts Center, the Tourmaline Social Rehabilitation Center, the Saint-Petersburg Public Charity Organization Perspektivy, the Creative Partnership regional public organization of the disabled, the Center of Curative Pedagogy (CCP) and others. 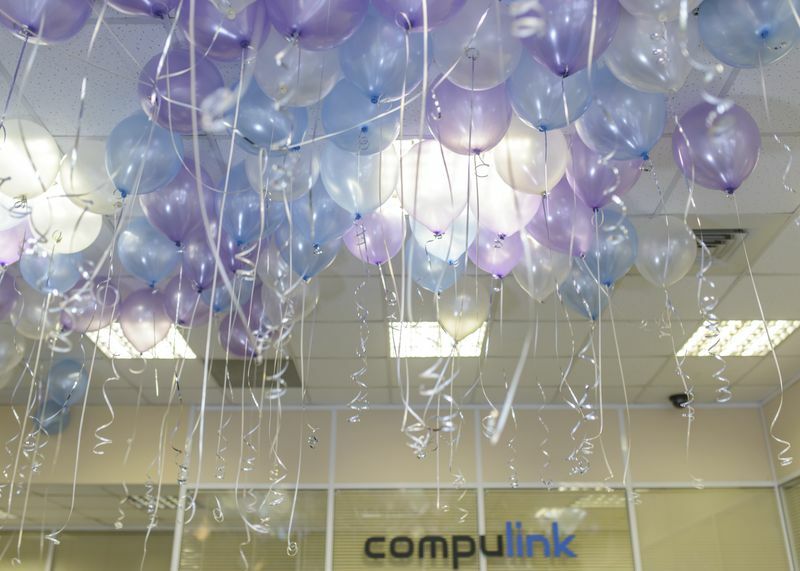 In the run-up to the New Year's Day, the Compulink Group provided aid to the Khotkovo boarding school; the company supplied computer equipment to children living in the school, and organized a New Year Balloon of Wishes charitable campaign. White balloons were released in the hall of the Compulink Group, each of the balloons having children's New Year wishes attached thereto. Every employee, who took a balloon, would bring a children's gift stated in the message. As a result, the boarding school received dozens of arts & crafts sets, sweet treats, balls, toys and many other New Year surprises. At the same time, a charity draw was arranged among the company's employees, where each of the participants would potentially win a valuable prize. All the funds raised were allocated to the needs of children living in orphanage No.15. The Compulink Group provided aid to charitable organizations of Moscow and Saint-Petersburg including the Road to the World inter-regional public organization for assistance to children with peculiar mental and speech development, and their families, the Tourmaline Social Rehabilitation Center, the Saint-Petersburg Association of Public Unions of Parents of Handicapped Children (GAOORDI), Maria's Children Arts Center, the Center of Curative Pedagogy. In December, the employees collected New Year gifts for children from Orphanage No.15 and the Khotkovo Special Care Boarding School – stationery, learning games and stuffed toys. Besides, the Group prepared a special gift for the kids – computers. The Groups social initiatives were praised by Russian charitable institutions. In particular, in November of 2011, the Compulink Group took part in the ceremony of the awards of the Corporate Charity Leaders'2011 project sponsored by the Vedomosti newspaper and was awarded with an honorary diploma. The Compulink Group provided support to a number of non-profit organizations implementing social rehabilitation programs: the Center of Curative Pedagogy (CCP), Maria's Children Arts Center, the Saint-Petersburg Association of Public Unions of Parents of Handicapped Children (GAOORDI), the Road to the World inter-regional public organization for assistance to children with peculiar mental and speech development, and their families, the Union of Charitable Organizations of Russia non-profit partnership, the Zone of Hope foundation. In spite of the ongoing financial crisis, the Compulink Group continued to participate in charitable programs. The Group organized a Day of Social Programs at the 21st international exhibition of telecommunication equipment, control systems, information technologies and communication services Svyaz-Expocomm'2009. The event took place with a support from the Russian representation of CAF Russia, an international operator of programs of private and corporate donations. The Day of Social Programs began with a news conference on launching a specialized clinic for restorative treatment of patients suffering from infantile cerebral palsy in Moscow. This unique project is the first step of the Zone of Hope foundation charitable foundation on the way to creating a number of specialized ICP clinics. Under the project, the Compulink Group acts as a partner of the foundation and helps to furnish the clinic with state-of-the-art medical equipment. The Compulink Group took part in an extraordinary event – the New Year in October exhibition organized within the framework of the Charity, Not Souvenirs program by the CAF foundation and a number of major companies. The event took place in the Gallery of Modern Art - M'ARS on October 15, 2008. Well-known artists, designers and photographers presented their art objects at the exhibition. Apart from the exhibition, the event included a news conference, a concert, a charitable auction of works (with the money raised to be transferred to accounts of participating non-profit organizations), as well as game-playing workshops for kids, where they, jointly with designers, created objects of arts and crafts. Owing to extra financing, the Korobcheyevo boarding school is developing a program for training children in sewing and embroidery. The school was able to purchase fabrics, threads, garment accessories and other consumables. Besides, equipment for outdoor sports and games was installed on the premises of the school including a swing, a slide, monkey bars, wall bars, a rope for climbing and a hangboard. Therefore, the schoolchildren can now practice sports and spend their time out of doors being engaged in activities useful for health. In the Tatyanka training center, persons with disabilities acquire practical skills creating objects of arts and crafts using the woodcarving technology. The funds received from the Compulink Group were spent on development of the training center including purchase of necessary consumables, remuneration of the teachers' labor, making manuals to be distributed in associations of the disabled people, nursing homes for the elderly and other state-funded special care institutions. Due to the aid from the Compulink Group, jobs were created for people living in the two aforesaid institutions. The key result of the campaign was that the children and persons with disabilities were able to feel proper members of the society and have satisfaction from results of their own work. While cooperating with the Detskie Domiki foundation, the company became aware of the need to provide assistance to a boarding school for orphans of the city of Ivanovo (the Ivanovo special boarding school for orphans and children deprived of parental care, with learning disabilities). To help the school, an action group was formed from among employees of the Compulink Group, which assumed all the care for preparation and implementation of charitable campaigns. The New Year Balloon of Wishes campaign has become an established tradition in Compulink. Every year, in the run-up to the New Year's Day, the company's office is filled with air balloons with wishes from kids, needs of orphanages attached thereto, and everyone taking a balloon is to make the wish come true. Then all the gifts, amenities and sweet treats are sent to children living in orphanages. The campaign was held on the occasion of the International Down Syndrome Day. 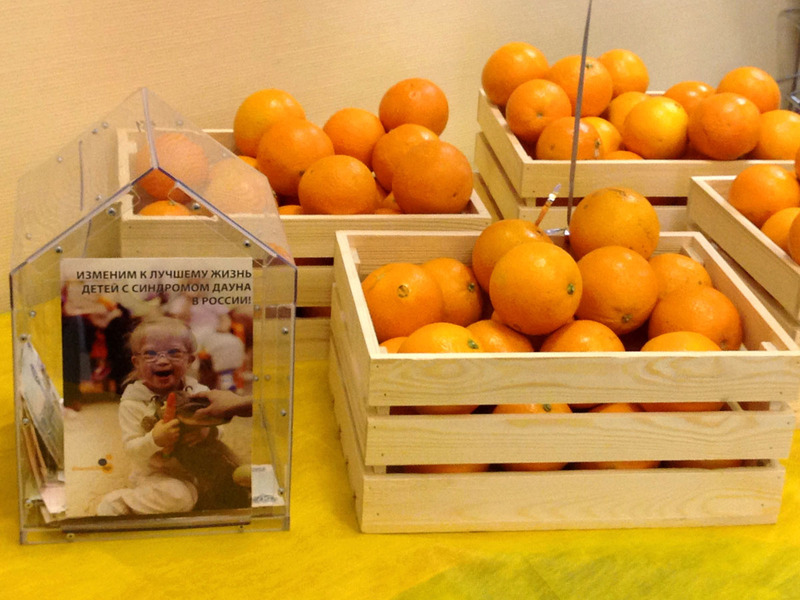 The company's employees were offered bright sunny oranges, but with a condition attached: one red fruit – one donation for children living with Down syndrome. The campaign was held in the company's office and enabled to raise funds to help children with Down syndrome. The idea of the campaign was as follows: all the children of a boarding school would write letters to Father Frost and the Snow Maiden, where they told of themselves, their cherished dreams and wishes for the New Year's Day. Of course, all the letters were personified. The Compulink Group employees were suggested either to take a letter and buy a gift, or to put money into special donation containers. Having gathered a sufficient number of letters, the action group organized a trip to the Ivanovo boarding school. Shortly before the New Year's Day, a festive performance was organized for the schoolchildren, after which all the kids received gifts from Father Frost. The Sandbox campaign was organized on the occasion of the Children's Day. Within the campaign, a playground was built on the premises of a boarding school in the city of Ivanovo (football woodwork, a basketball backboard, wall bars, monkey bars and a chinning bar). Besides, the donations of the employees were used for buying staple commodities, clothes for children going to a summer camp, as well as clothes for the boarding school leavers. Yet another trip was organized to the boarding school of Ivanovo, which was dedicated to Knowledge Day. The action group made up of 9 Compulink Group employees and 5 third-party volunteers held a picnic for kids. Funds raised through donations of employees were spent on stationery for the new school year. Stalik Khanashiyev, a famous chef, nutrition expert and the author of the best-selling book Dutch Oven, Grille and Other Men's Pleasures, was invited to take part in the campaign. Two of his assistants took part in the campaign and cooked delicious oriental treats for all the guests. The Science and Education program is one of the top priorities in the range of social activities exercised by the Compulink Group. The program is of a comprehensive nature and is aimed, first and foremost, at creating and maintaining favorable conditions for intellectual development of talented young people, at having future specialists receive good education for further professional development in the IT field, as well as elimination of digital divide and improving provision of all kinds of institutions with computing equipment. The target group of the program is gifted young people in need of financial aid and other kinds of support, representatives of educational institutions and non-profit organizations facing a burning problem of IT infrastructure, as well as individual families experiencing a lack of funds for purchase of a home PC. As of today, the Compulink Group has implemented a number of projects within the Science and Education program. An idea of a master course arose in 2005 in connection with an obvious shortage of IT specialists having required knowledge and skills for operating information systems for corporate management. That is what was the main driving factor for creating a master course aimed at elimination of the shortage of well-qualified IT staff. The principles and curriculum of the course were developed for two years. Following elaborate preparation, in 2007, at the initiative and with a support from the Compulink Group, the Information Systems for Corporate Management master course was launched at the faculty of computational mathematics and cybernetics of the Lomonosov MSU. The course is based on an educational course on implementation of management-related information systems on the platform of the SAP corporation, the world's leading supplier of business software solutions. Under the Science and Education project, the administration of the Compulink Group allocated funds for procurement of computer equipment, and provided address deliveries to institutions of Moscow Region. Installation of modern computing equipment received as a gift from the Compulink Group let the officials of the institutions to make their professional activities much more efficient. Besides, targeted aid to children from low-income families in Moscow and Moscow Region enabled the children to start mastering computer equipment, which is a matter of necessity today, and which will undoubtedly help them in acquisition of the basic and professional education. Compulink Group provided support to Misha Antipov, a talented young chess player. Under the patronage of the Compulink Group, Misha could take part in the Czech Open international chess tournament in the town of Marianske Lazne and in Moscow Open 2008. In spite of a high level of competitors, both of the tournaments were a success. Misha Antipov could gain 26 and 33 points to his chess rating, respectively. The Compulink Group is proud to help the talent of this bright young chess player to develop to its full potential. In December of 2012, the Compulink Group acted as a sponsor of the Counselor and His Team 2012 city contest, which was intended primarily to identify the successful record of activities of a senior counselor at educational institutions of Moscow. Today the Counselor and His Team contest may be considered to have no geographical boundaries. In 2012, the contest was held with participation from more than 100 teams from secondary schools, lyceums, gymnasiums, educational centers and a team of a boarding school for deaf children. Compulink regards development and promotion of Russian sports, establishing healthy lifestyle and upgrading the skills of our athletes as the primary objective of the project. In recent years, the healthy way of life has become increasingly popular in this country, with sports facilities created and reconstructed in line with the latest international standards. Compulink is pleased to support this initiative – to make sports a natural part of life for many people, to ensure decent conditions for our children to take their first steps in sports, to let our athletes train for competitions and eventually win. Finally, we should remember that sports activities is an integral part of numerous restorative and curative programs for various groups of persons with disabilities. For the Compulink Group, who has a long and successful record of implementation of charitable programs for support of handicapped children, children with learning disabilities, this aspect of the joint project is very important and precious. According to the nationwide program of sport promotion, development of sports infrastructure for the needs of handicapped children is among the top priorities. We are happy that our efforts in this direction will help many children. supporting corporate sports: creating and supporting a football team, reimbursement of the employees' costs related to activities in fitness centers.